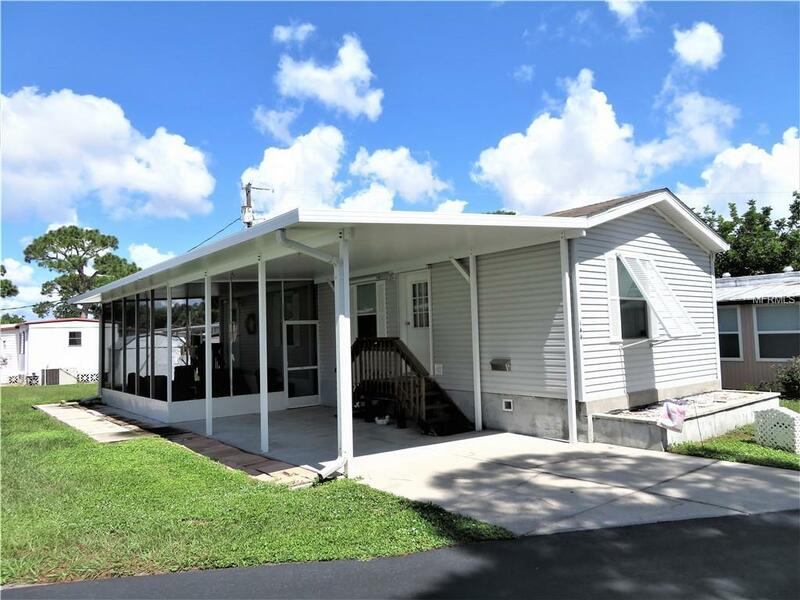 CALLING ALL SNOWBIRDS, here is a great opportunity to buy a 2BD/1.5BA/1CP nearly new manufactured home in the ever popular Oak Grove, an "over 55" active community. 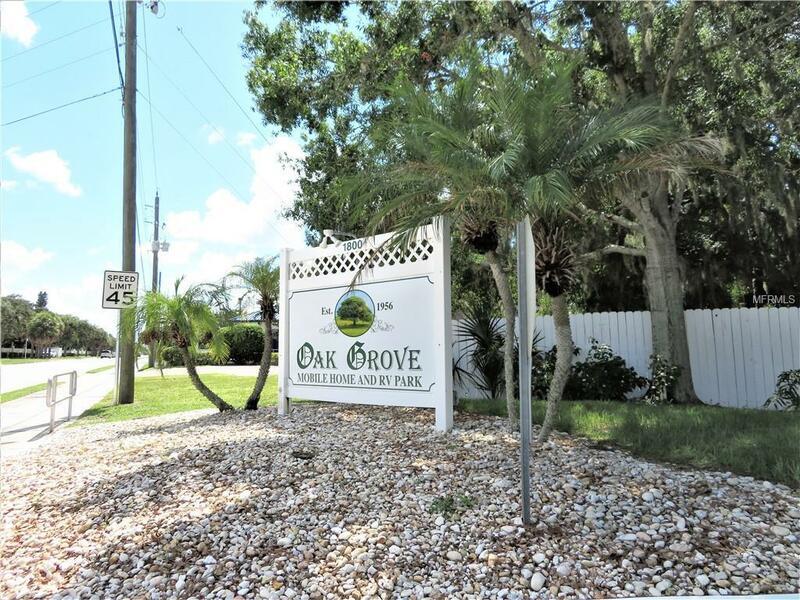 Get out of the cold and enjoy all the amenities that Oak Grove offers such as heated pool, clubhouse, shuffleboard, bocci ball courts, horseshoes, laundry facilities, dog walking area & lots of scheduled community events. 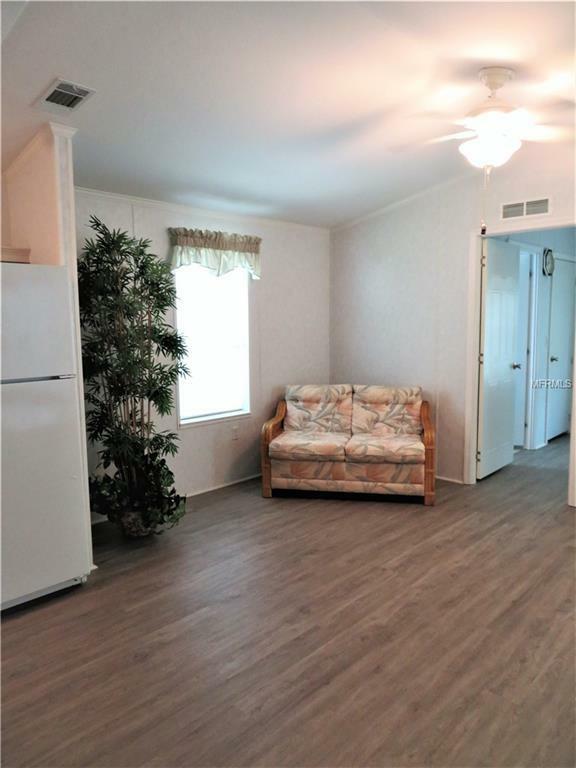 This home features an open floor plan with new wood laminate flooring, in Living/Dining/Kitchen, 2 bedrooms, bath & 1/2 bath. The split bedroom plan offers your guest privacy. The Front bedroom has vaulted ceilings, ceiling fan, walk in closet & wood laminate flooring. 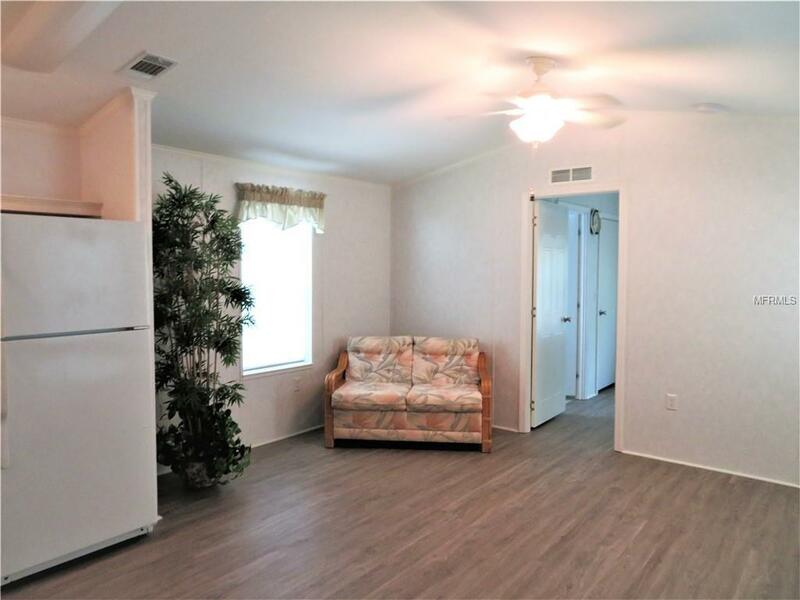 Rear bedroom has vaulted ceiling, ceiling fan, wall closet, wood laminate flooring and door to the Lanai. Main bath has combination tub/shower w/doors, skylight, vinyl flooring & laundry closet w/Maytag washer & Hotpoint dryer. 1/2 bath has 2 piece vanity and vinyl flooring. Screened Lanai would be a great place to relax and enjoy Florida's great weather all year round. Ideally located near shopping, one of kind dining, beautiful beaches and world class dining. Additional Lease Restrictions Application Fee Background Check Proof Of Age & Board Approval. Rental Period is Minimum Of 1 Month But Not More Than 3 Months. Not To Exceed 2X Per Year And 3 Months Per Year. Pet Restrictions Application Form Attached. Not Allowed in Recreation Areas.